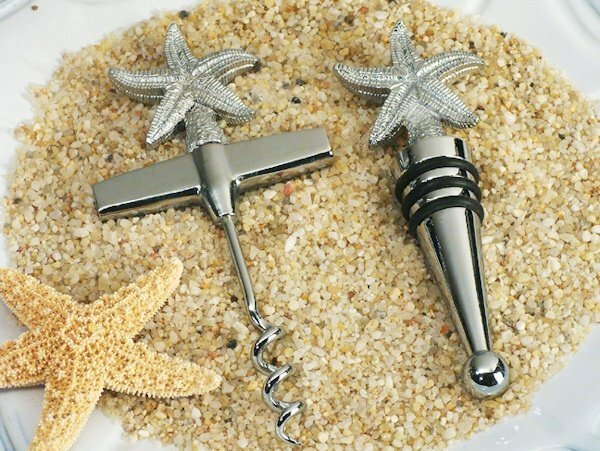 Our elegant and useful wine stopper and opener set favors are the perfect way to thank your guests for sharing in your day. 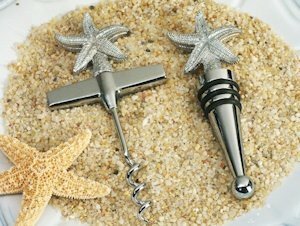 Great for a beach themed or destination wedding, each set contains a solid chrome bottle opener and wine stopper with a starfish design top. Ready for gift giving, they come packaged in an elegant black gift box with velvet lining and wrapped with a white organza ribbon. We've also attached a beach themed thank you tag. Each favor measures 4.5" tall.